The AA has revealed an insurance policy that uses a 'black box' to observe how you're driving. The aim is to cut costs for safer drivers and to potentially offer younger, or more inexperienced, drivers a less expensive insurance policy. After installing a small electronic device in your car, the AA will monitor your driving style by recording data about how, where and when the car is driven. After taking this data into account, the cost of your policy will then be adjusted up or down as appropriate. When the policy is taken out, customers are quoted an average cost for the year. They can pay the entire annual quote up front, or in monthly instalments. By driving carefully and slowly, they can then reduce the cost of the policy. Any savings are credited back to the policy holder, or deducted from the cost of the monthly payments. Drive aggressively, use your car frequently at night, or speed in built-up areas and the cost of the policy will increase. Users of the Drivesafe system can log on to the AA's Drivesafe website, or use a mobile phone application, to monitor their performance. "It's designed to encourage users to anticipate road conditions and drive in a way that properly reflects a lowered risk of having an accident. ", said Mr Douglas. This system may appeal particularly to younger drivers, or those who pay higher premiums. The AA claims that the potential savings could be considerable, but it will vary from user to user and the Drivesafe policy may not prove appropriate for some road users. "Safer drivers could see their premiums fall after just 60 days, but those who take frequent risks, typified by exceeding speed limits, cornering sharply or braking heavily and frequent driving late at night, are likely to see their premiums go up.". It's believed that many drivers may also find the system helpful in highlighting aspects of their driving that require improvement. For example, the Drivesafe website may indicate that the driver is braking heavily frequently, prompting them to consider looking further ahead. If they improve their driving, they can lower their premium. Mr Douglas says: "Although the initial premium may be little different to a conventional policy, the safest drivers could see their premiums fall quickly. As with standard polices, no-claim bonus applies and any premium reductions for risk-averse driving are in addition to that. "A new driver with their first car could see premiums fall faster than the 30 per cent or so they might expect from their first year's no-claim bonus alone, after a year." 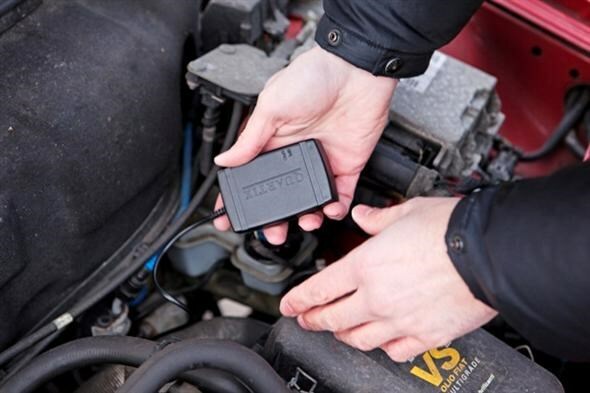 One further benefit is that if you should have a crash, breakdown or get your car stolen, the AA can use the black box to identify where the car is. Make sure you're not paying over the odds for your insurance by using Parkers Compare, and don't forget to read our guide on how to cut your insurance costs.